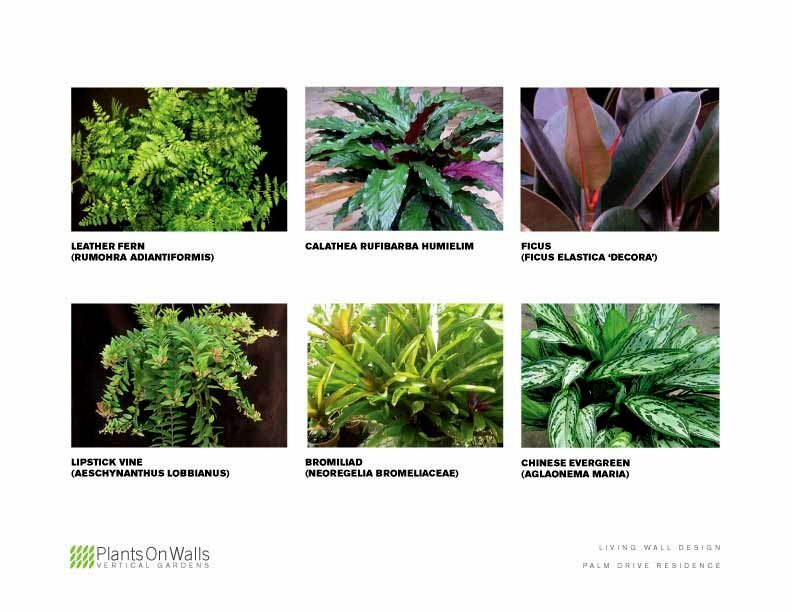 Chris Bribach, Plants On Walls used Adobe Illustrator to create rendered designs to gain client approval prior to installation. 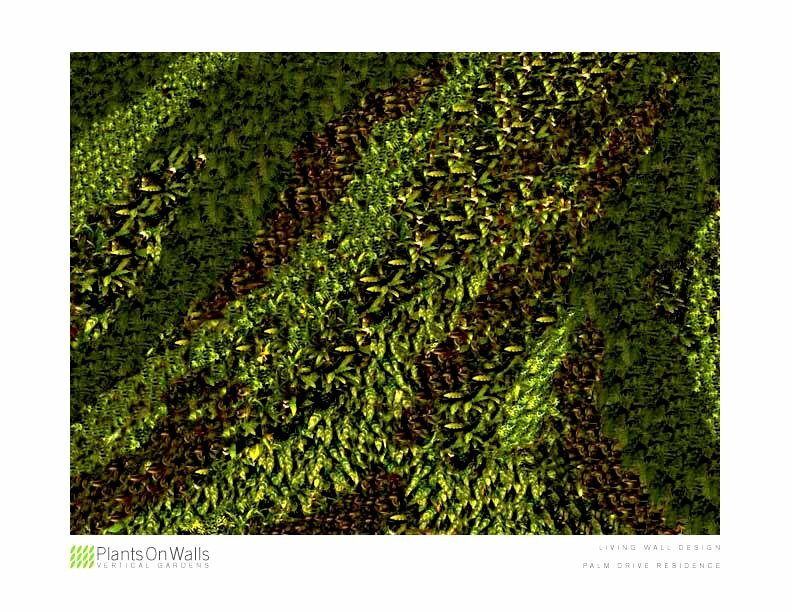 Chris Bribach, Plants On Walls. Computer Rendered Vertical Garden Design. Florafelt System. By using transparent (.gif) images of plants to create layers of repeated images which result in semi-realistic views that represent how a planted vertical garden might feel when complete. Multiple concepts can be presented and approved prior to installation. Chris worked closely with the client’s designers to decide upon this final rendered design to be 16′ wide by 11′ high. 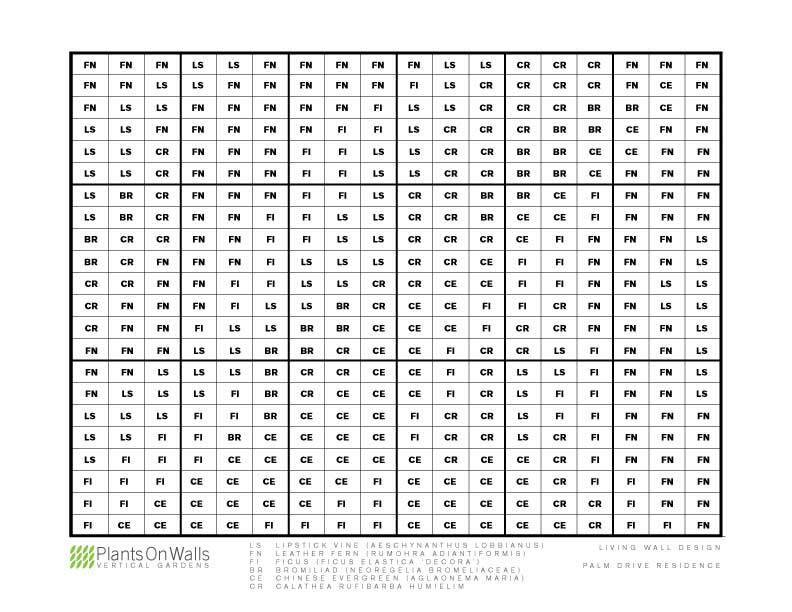 An overlay is placed upon the design to corresponds to the specifications for of the vertical planters’ pocket grid. Bold lines highlight the 18 panels used to achieve the full size of this custom living wall design. The grid is then used to create the final layout during installation. The plants were Root-Wrapped by the greenhouse and placed into boxes. The living wall kit and plants were transported to the job site. In two days Plants On Walls installed the living wall kit and plants to create a living tapestry that resembles a window that looks upon a rain-forest. The 2-1/2 minute video below shows how the entire installation was done.